In recent years, advertisements for online college has been on the rise. It is common to see or hear at least one commercial while driving or watching television talking about the benefits of earning a degree online. Many times, it sites affordability and convenience as perks of abandoning the traditional classroom practices of universities. But where is a prospective student to start in their search for a program that is right for them? With all the options available, where is the student to begin? Ideally, the program they end up choosing should offer free courses so that the student may be able to attend and see if they like how the setup flows. There should also be different packages offered that the student can cater their budget to. One such site that offers all of these and more is Coursera. This specific site offers many great online learning programs for a fraction of the cost of a traditional university. Yet that is not the only benefit. 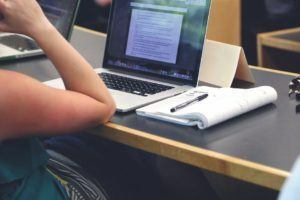 With accessibility, affordability, and many courses to choose from, online learning programs are certainly something a prospective student should investigate. Due to the recent challenges with the economy, prospective students are busier than ever. Most have at least one full-time job; many have multiple. Going to a classroom for two hours in the middle of the day, sometimes two or three times a day, is no longer feasible. One of the largest benefits of online classes is the convenience. They can be taken any time, anywhere, on the student’s schedule. Night classes? No problem. Early morning before the start of a shift? Available. Quick lunch break lecture? Chew and watch away. Then pause and finish after work. No matter the schedule, online classes can find a place in it. Another large benefit is the cost. When compared to traditional universities, online learning programs can be taken at a fraction of the price. There are even courses that can be taken for free. This greatly benefits the money-strapped student by lessening the strain on their wallet. They can still go to school without having to worry about making rent or affording food. For older, more established students, they do not have to worry about taking away from family funds to enhance their education. There are plenty of price packages to match the needs of any prospective student. A third benefit is the outreach. The online community comes from all over the country, all over the world! Anywhere there is internet, there will be people taking classes. This enables students to come together from all walks of life to learn from each other. Ideas can be traded from two different coasts. Someone in the mountains can ask someone in the desert for assistance on understanding something. Feedback can be given no matter where the person is located. This allows different perspectives to be experienced that someone might not have even thought of. With online classes, the vast number of peers is a benefit of its own. 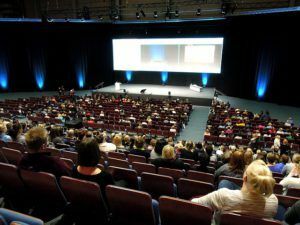 The traditional way to get a secondary education is to sit in a classroom and listen to lectures. While this does have benefits such as one-on-one access to a teacher and smaller class sizes, it is difficult to work a job (or two, or three) around the specific times offered. Sometimes, there is only one class offered at one time that is mandatory to the degree being pursued. Online learning programs do not have that issue. Most of the time, you can listen to uploaded lectures any time you want. They can be paused and returned to as well, which is perfect for the busy student. Classes revolve around the student’s schedule, not the university. Along a similar train of thought, class choices are more varied. While traditional establishments offer a wider range of classes, online offers the ability to take those classes due to flexible scheduling. That one class that the student was unable to take due to a work conflict is now part of their curriculum. Their degree is that much more attainable due to the class choices available through online programs. Universities might offer a wider range of classes, but what use are those classes if the student can’t take them? Classrooms are a bit easier to focus in. There is no risk of outside distraction. The teacher has full attention. Notes can be taken without having to repeat what was just said. At least, that is what it would be like for the typical, healthy student. What about those who have a harder time getting to the classroom? What about those who have a disability or illness? What about those who have trouble focusing or a learning disability? Traditional classrooms rarely address these issues, so it can be hard for those individuals to acquire a good secondary education. Online learning programs, however, can be accessed anywhere. If someone has an illness that makes going outside difficult or impossible, they can still log onto their computer and listen to a lecture. If someone needs repetition they can replay that lecture as many times as needed, pause to jot down notes, or simply revisit it to study. If someone has a physical disability that makes getting to the classroom difficult (sometimes impossible due to the design of the campus) they can still take the courses that they need for their degree. One of the biggest advantages that online programs have over traditional universities is the accessibility to those programs. It opens doors to everyone, not just the typically advertised students you see on brochures. Once the decision to take online classes is made, the next step is to find a suitable program. There are many great online learning programs that are just a few clicks away, one being Coursera.org. Offering classes from esteemed universities such as Stanford, Duke, and Princeton, Coursera presents the opportunity of expanding one’s education at a manageable price. There are even online courses for universities in other countries. Many of these courses are free upon signing up and creating a profile, which also has no charge. If a certificate is desired, the prices for classes are much more manageable than a traditional university as well. A student can even pursue a master’s degree depending on their desired level of education. Upon reaching the website, the prospective student is greeted with an offer to join and make a free account. This is not mandatory to explore the courses, which can be reached either by the search box in the top left corner, the blue “Explore” menu right beside it, or through the “About” page which can be found at the bottom like most other websites. As the student scrolls down, they can look through the universities that offer courses and certificates on this site. There are institutions from state to state, coast to coast, country to country. From there, the prospective student can explore courses, learn more about how certificates are earned, and see prices as well as learn about Mentors, careers, and how the site was founded. Everything is set up in a clear and concise manner, enabling the best browsing experience to help the student decide if the program is right for them. After the account is created and the student has a profile, where do they go from there? One option is they can simply browse the list of great online learning programs offered through the site. To get a feel for how the classes function, a few free courses can be taken. Upon typing in “free courses” in the search bar, a list loads with topics ranging from Shakespeare to the French Revolution. The student can then browse this list or can narrow their criteria based on topic, which can be found on the left-hand side of the screen. There are also paid courses that are available depending on the student’s budget. With this option, peer reviews and graded assignments are added to the main material, providing an opportunity to grow and improve. It gives the student a chance to see how much they have learned during that time. If the material fits with the student’s academic plans, they may consider choosing a degree program or a certificate. There is also a section that specializes in specific career skills that’ll help the student master the qualities that employers are searching for through hands-on projects. If they go this route, they will have to assess their budget to decide which package will be right for them, but there are options ranging from $15 to $25,000. If the funds are available, the student may be able to complete a master program completely online. If not, they may at least be able to improve job prospects by completing a skill set. No matter the route taken, the student will benefit from their chosen online learning program. I’m amazed by the idea of learning online at any time and any place we want. I’ve heard about Coursera before, but I didn’t know that they provide courses from top universities such as Stanford, Duke, and Princeton. Well happy to know that they do. Did you take any kind of course on Coursera? or you have any recommendation about some interesting course? Yes, I took a course on the theory of relativity, it was fantastic. Also, the discussions with the other students were exciting and challenging. I think I can recommend all the courses, because, as you saw, the most of them are from top universities.